Hotels, stately homes, theatres – there are literally hundreds of wedding venues in London and the Home counties but for this couple home is where the heart is. 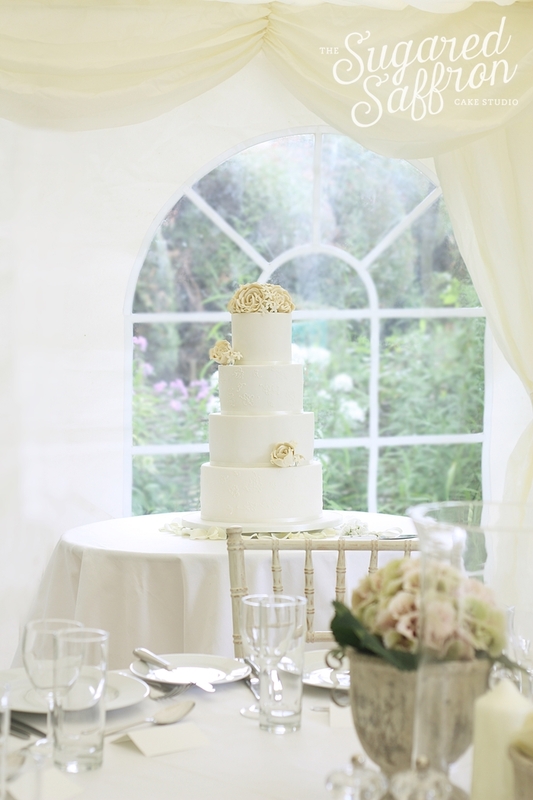 The ceremony and reception both took place at the grooms family home in Hampshire. 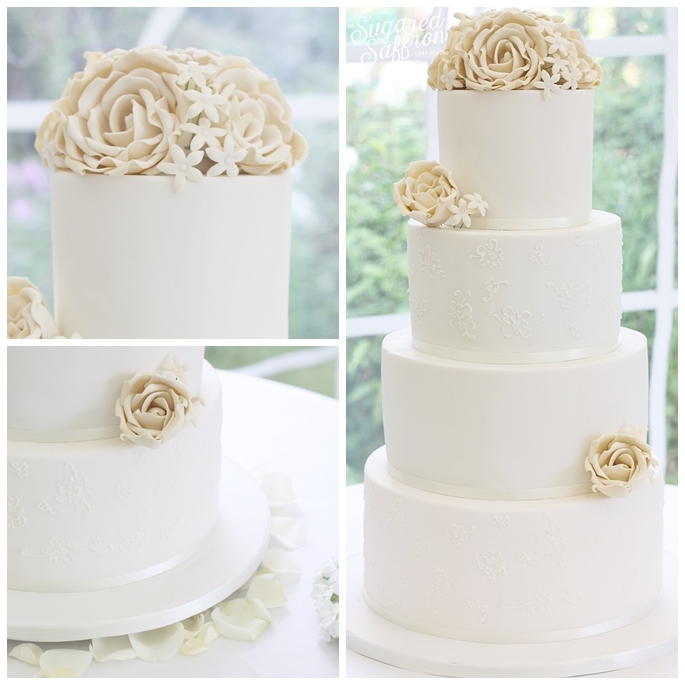 The cake was white on white with some very delicate royal icing piping based on real lace. 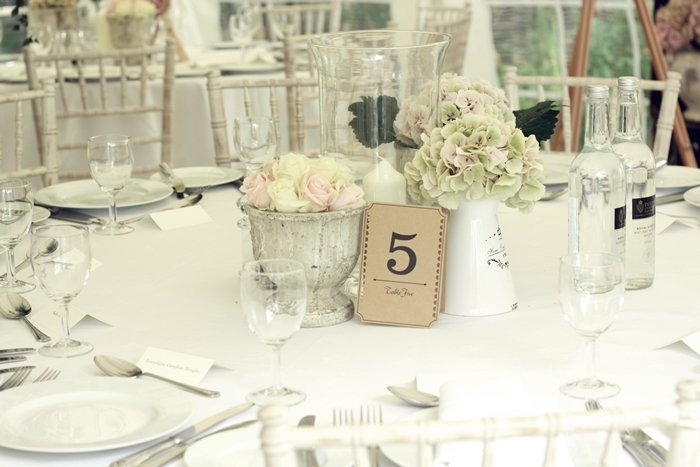 The flowers where a deep ivory too add a classic touch of colour to an all white affair. I love how this cake came together and how perfectly in fit in to the setting. It just goes to show that sometimes less if definitely more.